If you have issues with certain foods, histamines, oxalates, salicylates, or other common components in foods, then you have issues with your gut and liver. I get asked often about food allergy testing: what is the best one, if it is accurate, whether there is more to it than just avoiding all of the foods that come up as “bad”, etc. Before I never really had a strong opinion on it, but over the last few years I have noticed a few big reasons why I do not like these tests and why you should save your money. A few weeks ago I came across this great article from Dr. Kelly Brogan, and I knew I needed to address it as well. 1) Nearly every food allergy test I have seen lists dozens of foods to avoid, sometimes leaving just a handful of foods that are “safe”. How is it that all of these foods end up being bad for basically everyone? There is no way! It is not the foods that are the problem- it is the way that our bodies are processing them. These tests also can create food anxiety and can honestly get to a point of an eating disorder because of how insane it can be to follow the restrictions. I have seen this from SO many of my clients- they eventually get so fearful of eating that they will only eat a handful of foods, and many of them end up creating even more imbalances or intolerances because of this. 2) There are many things that influence the way we digest and utilize foods. These are the actual ROOT causes of why people have so many food sensitivities. Leaky gut, vitamin A deficiency, lack of stomach acid, lack of bile, lack of digestive enzymes, and even an imbalance in the gut flora will influence the way we’re breaking down certain components of food. Nearly everyone has some form of digestive issues at this point thanks to our horrible food supply, our miserable diet recommendations, and the quality of the foods we have available. 3) The quality of the food matters immensely. There are many foods these days that are different then what our ancestors ate- they didn’t have the toxic herbicides and pesticides that we have, they didn’t have GMOs, and they didn’t have to worry about added hormones or antibiotics in their food. They ate ORGANIC food, period! The term “organic” is only around now because of the massive amounts of junk that is in our food these days. I will say this though as I always get people that are angry when I say things like this: If you feel like you have a legitimate reaction to certain foods, that is one thing. Keeping it out until your gut is better is ideal. But when it is literally hundreds of foods that you are told to avoid because they show up on a test like this, it is due to the way our bodies are processing the foods. Not the food itself. So what do we eat then? And how do we heal from food intolerance? Fresh fruit and veggies, mostly local if you can do this. Get in as many nutrient dense foods as you can. Herbal infusions, pumpkin seeds, bee pollen, bone broth, etc. Read more on that here. This involves many steps, but it is almost always the most important thing to work on. Increasing stomach acid, bile flow, and enzymes is a big part. Healing and sealing your gut lining is another part. Re-balancing your gut flora is the next biggest part. Healing the gut fully can take time. It took decades for many people to get to this point of ill health. Luckily it won’t take decades to heal, but it will take most people at least a year or 2 to heal the majority of the damage. Stomach Acid: Many doctors have things backwards when it comes to heartburn- millions of people are told that they have excess stomach acid so they pop antacids. In reality, it is estimated that 90% people in America are LACKING stomach acid. Low stomach acid leads to imbalanced gut flora, deficiencies of nutrients, amino acid deficiency, and it leads to GERD, heartburn and acid reflux. If you do not have sufficient stomach acid, food sits and rots in your stomach. This is what we feel when we get acid reflux- it is not excess stomach acid, it is rotting food that cannot digest properly! What to do: Apple cider vinegar is always my first choice (unless someone has a severe histamine intolerance). I find that ACV works MUCH better than any HCl pill. HCl is what I tend to recommend as a last method *if* ACV is not tolerated. A deficiency in sodium is common with low stomach acid. We can use a good unrefined sea salt liberally (especially if your HTMA shows that you need it). Salt water sole is a popular choice for increasing stomach acid. Bitter herbs are one of our absolute favorite tools for increasing stomach acid, enzymes, and bile all at once. Also: Check yourself for a hiatal hernia! This can be a hidden cause of many digestive symptoms, especially low stomach acid. Bile Flow: We need bile flow for digesting fats and proteins, detoxing pathogens and heavy metals, and for the utilization of fat soluble nutrients, especially vitamin A. Bile and stomach acid tend to both be on the low side for most people dealing with food intolerances and gut symptoms. What to do: The best and easiest thing I have found for aiding bile flow is a bitter herb supplement. This one from Herb Pharm is super easy: just doing 4 sprays before each meal can help stimulate digestion. Bitter herbs technically help with bile, stomach acid, and digestive enzymes (and I see so many people taking 3 separate supplements for this purpose!). Gaia Herbs “Sweetish” Bitters are also great! This blend includes Anise Seed, Cardamom, Fennel, Gentian, Ginger Root, Milk Thistle, Turmeric, and more. You just put 60 drops in a little bit of liquid about 15 minutes before each meal to help with digestion. And finally, dandelion root is my other favorite as it can nearly quadruple bile flow. Soothing/Healing and Sealing the Gut Lining: Leaky gut is when the walls of the intestine become inflamed and porous, allowing undigested food, bacteria, toxins, and other antigens into the bloodstream and lymph system. This creates inflammation (body and brain), food intolerances, and depression, as well as bloating, gas, IBS, constipation, or any digestive complaint. Some people don’t even have gut complaints when they have leaky gut. Their symptoms could just include eczema or psoriasis, maybe joint pain or headaches. THIS is the biggest reason why we get food intolerances- that gut lining is compromised and it needs to be sealed up. 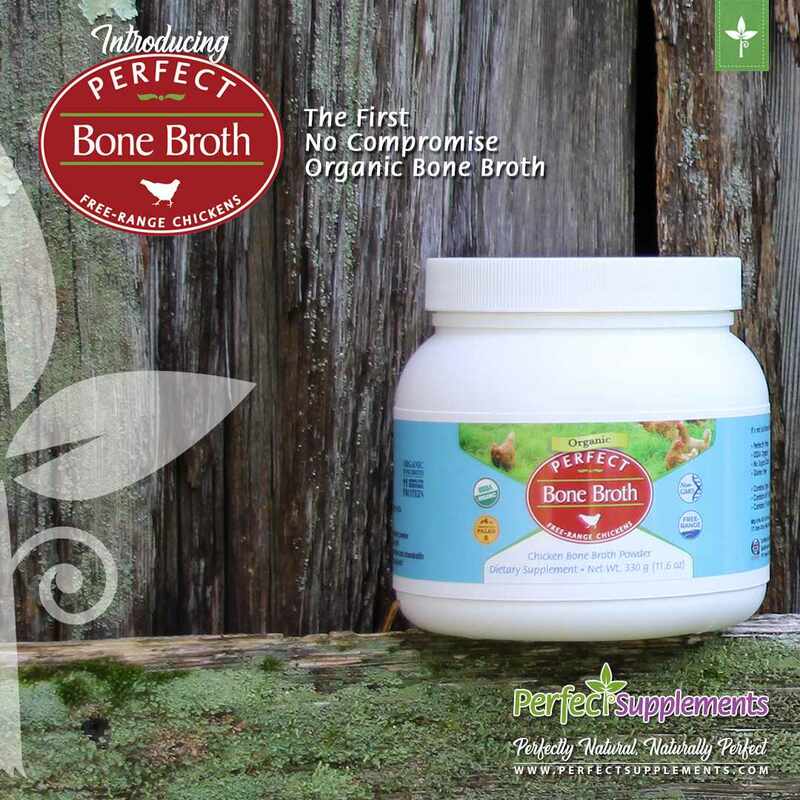 What to do: My top choices for this are George’s Aloe Vera, bone broth, and collagen or gelatin. Chamomile tea, slippery elm, and marshmallow root are also popular choices. Replenishing Gut Bacteria: Gut bacteria is crucial for many reasons: creating certain vitamins, keeping harmful pathogens under control, and plays a role in keeping many illnesses at bay, especially colon cancer. We have about 100 trillion bacteria cells in the body, which is more than our human cells! Bacteria are truly crucial for our survival and well-being. Probiotics and fermented foods are both helpful for this purpose. When it comes to getting more bang for your buck, fermenting is the way to go! You can read a bit more about fermenting here, and some easy starter recipes. Or you can read about my top probiotic picks here! We also love products like from Bioray like Belly Balance, Belly Mend, or Cytoflora, as well as Restore for Gut health to help the good bacteria to stick better overall. The liver itself has about 500 functions, but it does play a role in digestion. It is another overlooked organ needed for full healing. The liver is what creates bile, which is needed for digestion of fat soluble nutrients such as vitamin A (see below). What to do: Herbal infusions like nettles, oatstraw and red raspberry leaf. Infusions are extremely nourishing to the body, and most of them help with liver, lymph, kidneys, and the adrenals. Sunflower lecithin is rich in phosphatidyl choline, which is a B complex vitamin that has extremely important roles in fat metabolism and liver health. It helps with stimulating bile flow. And my favorite liver healer is BioRay Liver Life- one of the strongest liver healers out there. Fixing this deficiency is a bit more complex than just taking vitamin A though. We need sufficient bile to absorb vitamin A, and we need strong adrenals to signal to a happy liver to release vitamin A for use. Not everyone can jump right into things like cod liver oil or beef liver for vitamin A- many need to start with healing the gut and liver, and work on a full HTMA plan because we address all of the issues I’ve mentioned in this article. So in conclusion: there are MANY things out there that can be linked to just a few huge root causes. Food intolerance is one of these things that really comes down to the quality of our food, the strength of our gut, and the way that we are breaking down and utilizing food overall. If you react to foods, it is always good to take them out as your gut heals. But cutting one food after another without working on the root causes is not going to actually help you heal. At the end of the day, we want people to actually heal! We should be able to enjoy food and life in general.